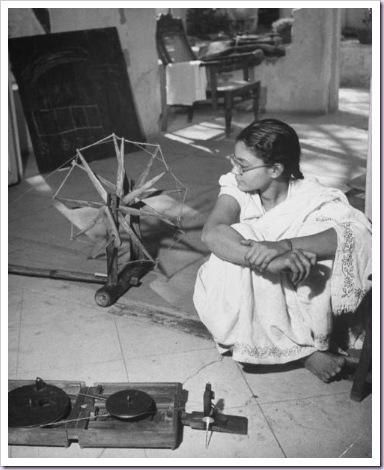 Abha Abha Gandhi, wife of Hindu Leader Mohandas Gandhi’s nephew, Kanu, sitting beside Gandhi’s old spinning wheel & next to a more modern spinning apparatus that she uses, at the Gandhi Colony compound. दुर्लभ ! 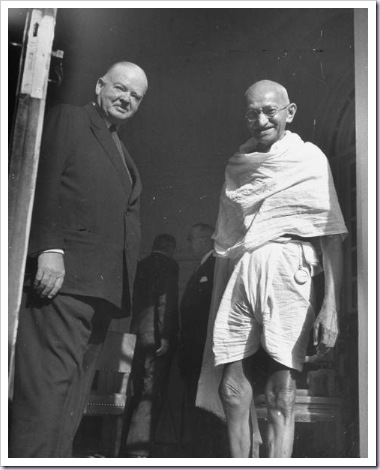 चरखा तो नहीं तकली एक-दो बार जरूर ट्राई किया है.